No, not "Rambo" darling... "Rimbaud". Jean-Pierre Jeunet’s visual conjuring is pleasingly intact in his latest, but unfortunately his screenplay is all whimsical doodling with a kind-of-commentary on the evils of arm trading but-not-really. It’s a shame, because when he's firing on all cylinders the heightened stylisation married with a rhythmic, almost musical, approach to editing makes for an irresistible combination. There are occasional signs of it here; the opening sequence culminating in a bullet lodging in our hero’s (Danny Boon) head is superb. 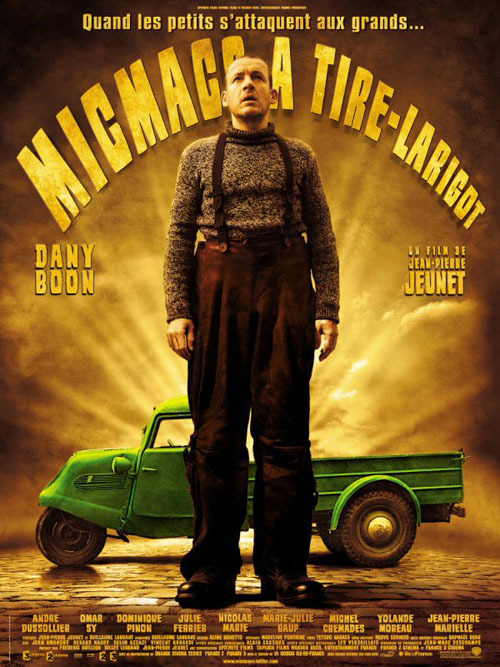 But then Jeunet lapses into typically indulgent, quirky characterisation and likeable yet repetitive vignettes as Boon arranges revenge on those responsible for his father’s death and damaged cranium.